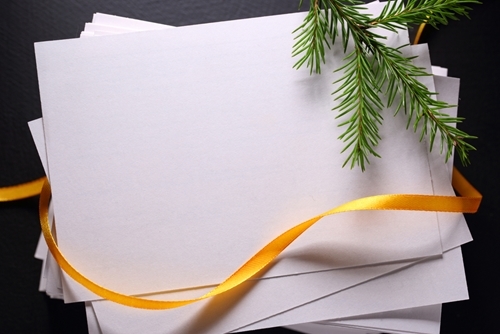 Home/Sales & Marketing Tips/How can print providers help with holiday marketing? As a print service provider today, chances are good that you're doing far more for your clients than just selling them paper. The printing industry has evolved to the point that the best competitors within the industry have become close partners to their customers, providing intelligence and strategy advice in addition to physical goods and stepping in to coordinate marketing efforts, often combining both digital and print offerings. This new role is far more demanding than simply selling paper, but if you excel in such a position, you'll achieve lasting business relationships that go beyond what would be possible through simple document sales. It's important to take stock of important moments for your partners and deliver solutions that help them reach their particular objectives. These will differ based on the circumstances of the industry, region and moment, and your role as a third party is to deliver customized plans that get results, with paper being one of many active channels. Consumers haven't begun holiday shopping yet, at least in most cases. However, brands are already in the thick of end-of-year preparations, eager to develop strategies that will have consumers excited to buy their products throughout the months ahead. WhatTheyThink's Barb Pellow gave some hints concerning what retailers want to accomplish throughout November and December, and how you can help them reach these objectives. First of all, retail businesses hope they can personalize their messages. They are interested in targeting individuals rather than groups, and that has to do with both physical mailings and their online equivalents. Whether you're in charge of both or just handling the physical mailings, it's clear that your ability to maintain a relevant, up-to-date mailing list and create custom content for the named individuals will determine your worth as a printing business and third-party partner for marketers this holiday season. Pellow explained that targeting and audience segmentation are, jointly, the most popular holiday sales tactic among retail marketers, topping the list at being used by 43 percent of businesses. The runner up, A/B testing to ascertain preferences, garnered only 23 percent of the vote. On a related note, A/B testing is another role you can perform as a print service provider. Sending out different mailings and tallying the comparative results is a great way to prove your marketing mastery to a retail partner – provided you have the data management acumen. When it comes to the content of your print products, it's best to align design elements with overall branding. Pellow explained that in the current multi-channel world, individuals interact with brands in several ways, and they expect to see consistent elements of style wherever they look. If you're solely in the print business, it's best to work closely with digital teams to make sure the items you're producing fit into the overall campaign in both visual style and tone. If you're in charge of multiple channels, keeping things consistent is easier, but no less vital. Just having a direct mail marketing push throughout November and December isn't enough. This effort must be well planned and executed, with each mail-out full of value for customers. Small Business Trends recently gave a list of important features to consider when you're responsible for designing such a campaign. The source explained that a well-crafted mail campaign is worth trying, even in this digital age, due to the fact that email inboxes have become cluttered, and direct mail sends a clear message to the targeted audience. Including a valuable offer is one of the main ways to turn your mailing into a must-read. The source noted that coupons attained via mail are more popular among recipients than even online coupons. Once people have physical evidence of the discounts they are eligible for, chances are they'll act on it. This is a great way for you to provide value to retail partners that have physical stores. Small Business Trends also explained that information and offers contained in your mailings should have an expiration date. While a general coupon or sale notification may get some response, a discount with a limited period of validity is more likely to get individuals' attention. This means you can tie sales to particular events throughout the season – and November and December are full of significant dates that could support such a sale. Give shoppers a limited time to act on your great discount and they'll feel the urgency. If you help retail partners close out their financial calendars in good shape with a strong holiday season, these companies will likely be glad they chose you and your services. Seeing as many retailers count on November and December sales to determine whether a year will be weak or strong financially, helping out during these seasons is the best kind of audition stage you can hope for. In the current print service provider climate, such chances to prove value are great opportunities.